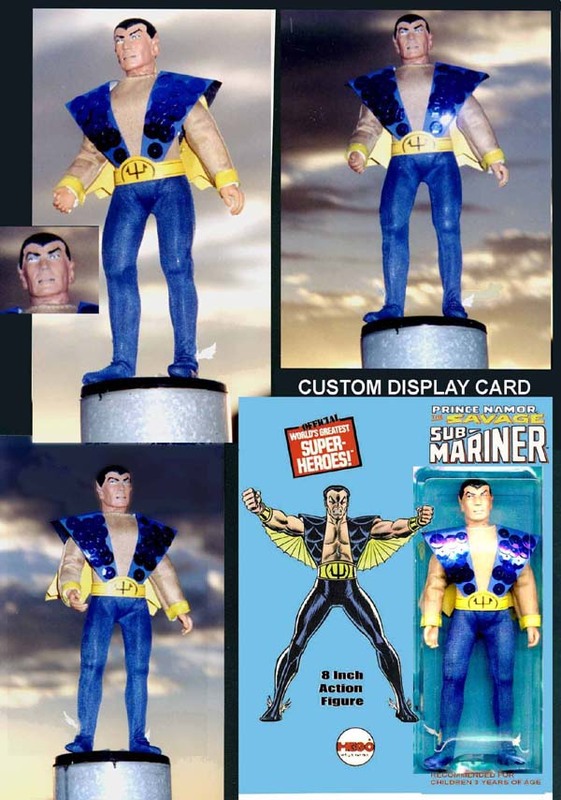 Prince Namor, the Savage SUB-MARINER! A cool Mego custom that uses a plaster cast of the Mego Mr. Spock head, re-painted, with a custom marker-and paint-created suit! I wanted to use the 1970's John Romita-designed outfit for a more dynamic look!